By now, most of us are well aware of the importance of choosing sustainable products whenever possible. What you may not know is that vinyl siding is a sustainable option for your home’s exterior. You read that right. As if vinyl siding didn’t already have plenty of benefits, including low maintenance and affordable, it’s also a sustainable building product. Here are four of the top sustainable benefits of vinyl siding. The manufacturing process is energy efficient. Before the vinyl siding is ever hung on your home, it has already started doing its part for the environment. How? It requires less energy and water to manufacture per square than fiber cement. It involves less than half the fuel needed to manufacture brick and mortar . Plus, any scrap is put directly back into the manufacturing process, resulting in virtually no waste during the manufacturing process. In addition, vinyl siding produces minimal waste when installed, especially when compared to other building materials. Finally, its lower weight, when compared to other home exterior options, reduces its transportation energy impact. Vinyl siding increases energy efficiency. Insulated vinyl siding blankets the studs on your home’s exterior wall, reducing thermal bridging and boosting its R-value. (R-value refers to an insulating material’s ability to resist heat flow.) As a result, it keeps the heat outside in the summer and inside during the cold winter months. This not only helps improve energy efficiency but keeps your monthly energy bills down as well. As an added bonus to being very easy to maintain, vinyl siding also requires very little resources to help maintain its original beauty. All you need is a little mild soap and water from time to time. There’s no need for painting or staining, which have been known to release harmful solvents into the air. The same can’t be said for brick, stucco, or wood, which require the use of potentially harmful materials. Durability is absolutely necessary for sustainability, and it’s a proven fact that vinyl siding is exceptionally durable. It is resistant to wind, chemicals, water, and insect damage, while also retaining its color over time. If you’re interested in sustainable living, it is time to look into vinyl siding for your home. 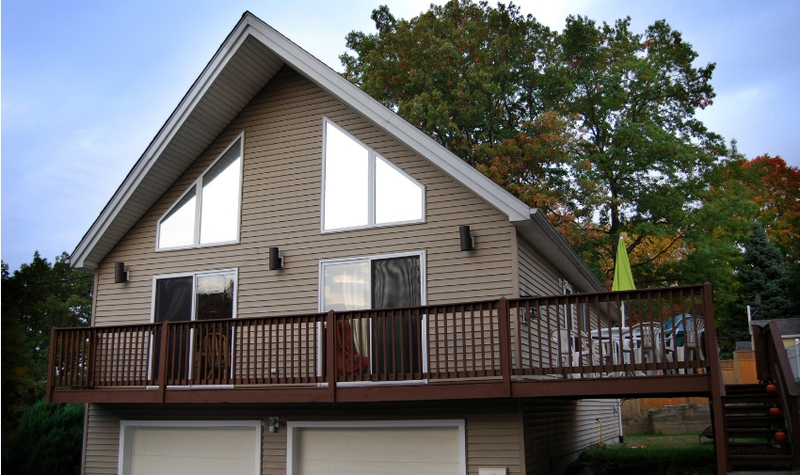 Contact NC Siding and Windows to learn more or schedule your appointment for a free quote.